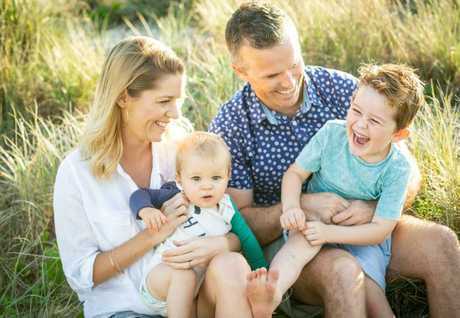 MOTHER-of-two Bec Lancaster-Scully has lost her brave battle with brain cancer, growing her "angel wings" after doctors did all they could to save her. 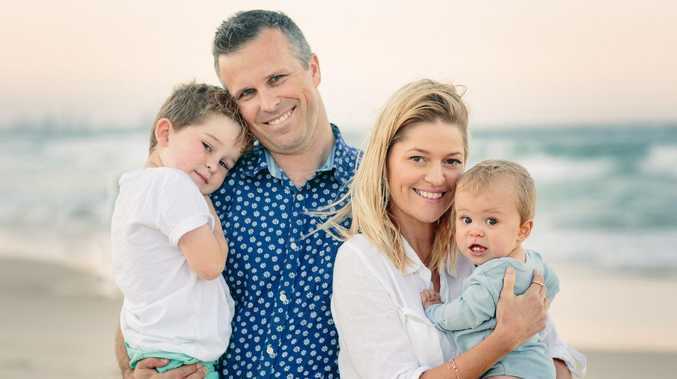 Mrs Lancaster-Scully, of Palm Beach on the Gold Coast, was an otherwise healthy 36-year-old when she went to her GP in January complaining of headaches. She was horrified to learn she had two aggressive brain tumours. Two weeks after an operation to remove one tumour, she was told that the second had quadrupled in size, causing excruciating pain, swelling and partial blindness. 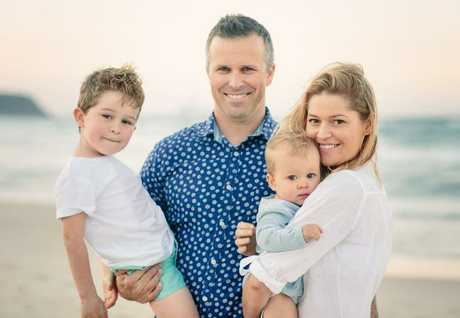 In mid-February surgeons at Pindarra Private Hospital at Benowa tried to chip away at the grade 4 primary glioblastoma, which could not be removed because it was on the brain stem. She and her childhood sweetheart husband Joel Scully were told to prepare for the worst, with her life expectancy cut to between four weeks and six months. Mrs Lancaster-Scully passed away Tuesday night. Her grieving sister Sally Kulig posted on social media today: "Last night you grew your angel wings and flew up to the stars. I know granny, pop and Jasper were there waiting for you to arrive." Mrs Lancaster-Scully had already dealt with considerable heartache before her illness. Jasper, her middle child, was stillborn at 37 weeks. First son Will, 5, was born premature with two holes in his heart and spent seven weeks in hospital before undergoing lifesaving surgery. The couple's third child, Kit, now 18 months, was also premature but did not have major complications. In February, Mrs Kulig started a Gofundme page to help her sister and her family, raising almost $200,000. 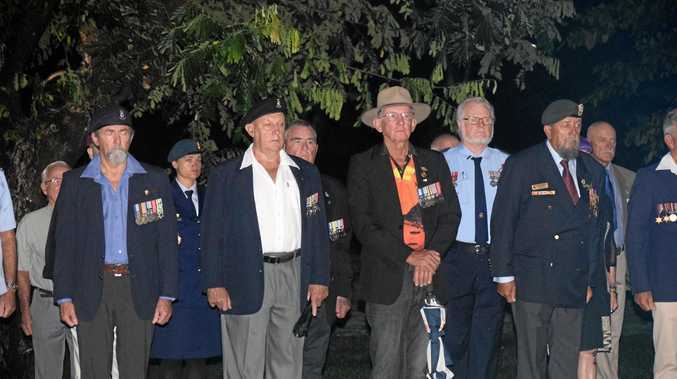 "Bec knows the odds but she's a fighter," she told The Courier-Mail at the time. Glioblastoma, the most common form of brain cancer in adults, has a five-year survival rate of 4.6 per cent, against 25 per cent for other brain cancers, according to the Australian Cancer Research Foundation. More than 2000 new cases of brain cancer are diagnosed every year, killing around 1500 Australians. There are no known lifestyle or environmental factors that contribute to these cancers.